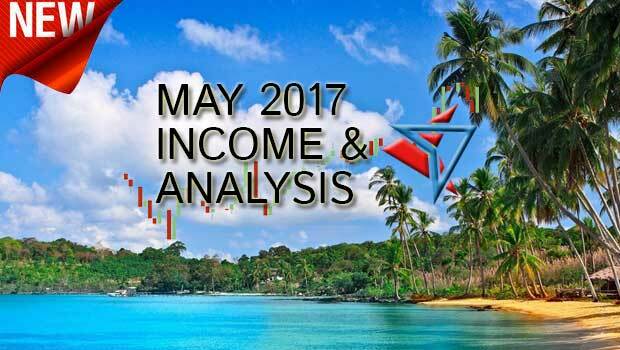 Hey guys, welcome to the 32nd edition of the binary today.com income report. In this monthly report, I provide an in-depth analysis of my personal trading record for the past month. In order to prove that my strategies and systems need to be taken seriously, I feel it’s important that I hold myself accountable, and prove my worth. If I’m successful, I know you can be successful to by following very simple methods I use on a daily basis to achieve success in binary options. Today I will be showing you an income breakdown from each software that I use, a journey where I’m trying to turn $250 into $50K and a brief outline of the strategy I’m using to achieve. When I started the journey to turn $250 into $50K I was very concerned. I read a lot of emails from my readers, and while most believe that I can do it, there were skeptics as well that made me 2nd guess my decision to embark on such a difficult task. Yet, here we are a few months into the year, and everything is going even better that I expected. If I continue with the same level of success, I’ll be able to smash the 50K goal and exceed it by a far margin. Keep in mind, when I trade my personal accounts I don’t use this extremely aggressive money management strategy at all times. For this journey I’ve been risking around 20% per trade, when I normally prefer somewhere between 3-5% per trade. So, with that being said let’s take a look at this month’s trades. In May I continued my winning ways, with 5 wins and 1 loss. With a 20% money management strategy I earned just over $10,000, bringing my total to nearly $24,000. I’m now in a very good position to exceed the $50K goal. If I continue to keep up my high ITM% then I should reach my goal within the next 2 to 3 months. When I started this journey at the beginning of the year I didn’t think this was possible. Yet, with resounding support from the binary options community I’ve been able to generate a lot of confidence from all of the positive feedback I’ve been receiving. So let me thank you for everything you do that helps me become a better trader. Probably the most important and most anticipated part of these reports, is my personal earnings. Here I show you what trading signals I’ve been relying on to grow my accounts and analyze which of these methods is likely to be the most successful for the next few months. It was a really interesting month in that Binary Today Trader had such an impressive resurgence. Binary IQ did hold onto the top spot, but this is the closest it’s been since the IQ launch, months ago. So what is attributed to this? Well, the Binary Today Trader signals started to really catch my eye at the beginning of the month. I noticed that some of the trades were winning by massive margins and this is usually a good signifier that a signal system is starting to get hot. Honestly, I should’ve paid more attention to the trader, but I’m still infatuated with my favorite toy, IQ. Being as though we are into June, I’ve noticed that the Binary Today Trader signals continue to perform at an extremely high level. If you are a current member, I suggest you download the latest version and throat on a few of your charts. Pick up some easy wins as we roll through June, and maybe at the end of this month will be seeing a new system atop the leader board! Last month I showed you my current strategy, and it remains the same yet again. Don’t overcomplicate your trading strategies. Focus on finding what times and what pairs work well for you and then take advantage of the built in trade assistant software to verify your trades. When I receive a signal for any binary options software that I use, I immediately look at the trade assistant to verify that it’s a viable signal. I want to see either 3 out of 4 or 4 out of 4 arrows pointing in the direction of the trade that I receive. If you take advantage of this strategy, you will be successful, I’m sure of that. Thanks again for reading another edition of my income report. June is going to be a great month for all of the readers here at Binary Today, as we all look to grow our accounts. I’ve been receiving some excellent emails with success stories of traders that haven’t had any success in the binary options market until this year. So let’s remember to trade smart and be patient. Summary: I give this month 4 stars. I feel that I could have been a more efficient trader, and took advantage of more opportunities. Next month I will aim for 5 stars, and hopefully that will show up in the bottom line. How’s everyone doing this month? This is probably my best month yet with Binary Today Trader, Binary Today 5 and Binary IQ. I’m winning 90% of my trades, and I want to make sure that I’m not just getting lucky here!! Going great Dale, it’s been a wicked month of wins. Using all three software too. Congrats John for such consistent success with binary trade! I have few queries with you regarding the strategies you opt..
1. How much time you spend trading in front of your system or near your computer? 2. you use multiple software tools, how often you get signal popups in the system? you catch the signals instantly for trading? 3.best time frames for you for trading? Hi Satish, let me get to your questions. 1. I don’t spend very much time on the computer trading at all. I’m usually doing something else or around the house just waiting for the alert to come. 2. Yes, I use many tools. I get signals all throughout the day/night. 3. Each software uses different time frames. Binary Today Trader I use M30 and H1. Binary Today 5, I use M5. Binary IQ, I use M1 and M5 on many charts. You catch the signals on mobile phone or laptop charts?? I use a laptop. I just leave it in the room I’m in off to the side. I’m starting to make some progress. It’s been slow, and at times PAINFUL but you keep pushing this trade assistant and it’s helping me a lot. I’m now following you and running all Binary IQ, BT5, and Binary Today Trader at the same time. I’ve also read some people setting Binary IQ to low risk, so I might try this too. I was just reading this too, and thinking about testing it out. Congratulations once again John. What an inspiration. If you decide to be aggressive and risk 20% per trade, is there any further confirmation or filtering you consider besides the TA? For instance would you look at things like support and resistance, price action? Hi Des, I will use some of my knowledge/training from trading time to time, but nothing drastic or specific. I want to use the exact same strategy that I provide to the BT readers.